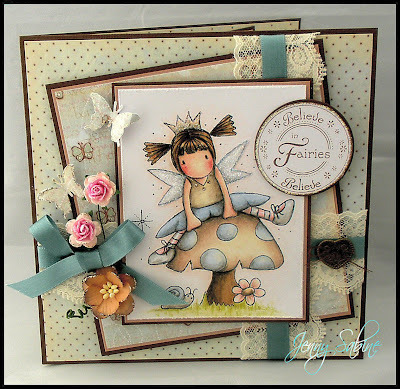 It's Tuesday and time for our "Fairies" challenge over at Everybody Art Challenge. For once I am really pleased with the finished card, partly because it came together really quickly and the cute image was a dream to colour. I have used my two favourite papers within the Jack & Jill paper pad by Prima. 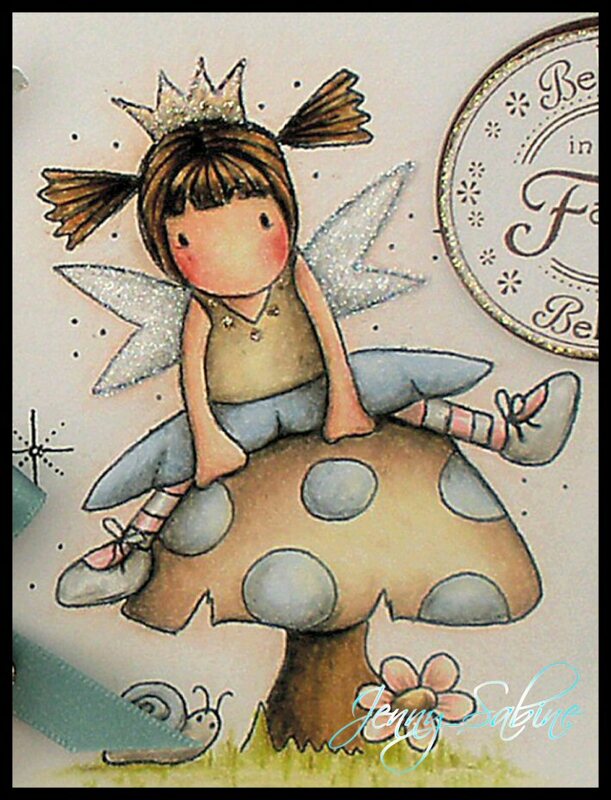 You can purchase this from Stamps and Memories Here is a close up of the image coloured with Prisma Pencils. 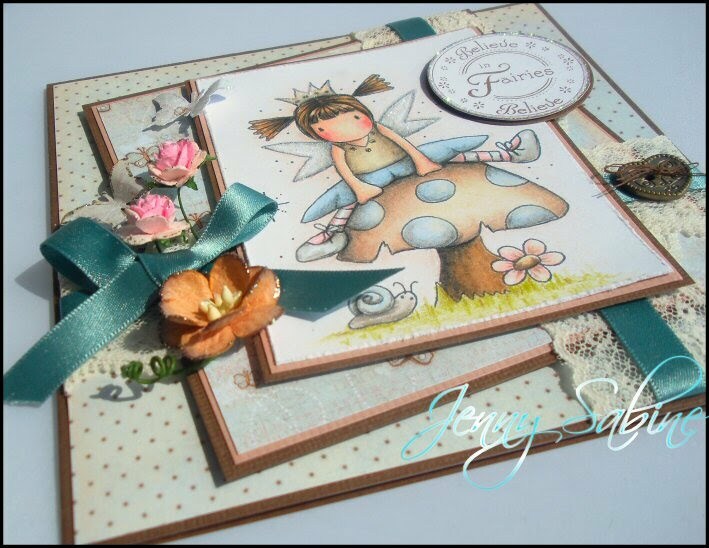 Oh wonderful card Jenny, what an adorable image and beautiful details. i love so much your card. your coloring is amazing. thanks for sharing with us at stamptacular sunday! Jenny this is so superb! Wow, this is stunning. I love your card. Your choise of colors is so beautiful. Love brown and blue. This for me unknown image is adorable. Love the glitter on the wings and crown. Thank you so much for sharing with us at Stamptacular Sunday Challenge. Hope you join us again. very nice. thank you for joining us on craftyourpassion's challenge blog. Good luck !